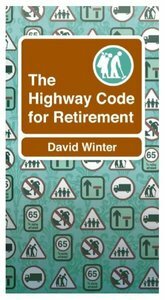 In the style of previous "CWR Highway Code" books this is an engaging and inspirational book for those facing the imminent prospect of retirement. David Winter covers Planning for Retirement, including advice about pensions as well as emotional and practical preparation, Life without Work, including things that might or might not be missed about work, The Others Involved, including new routines; also, the question of moving home, spiritual and emotional issues about being retired, including mourning the past, and Growing Older Gracefully. He also offers some interesting case studies and then addresses the question, What's Good About Being Retired? He suggests the retiree do something new, talks about memories, celebrating love and discovering past affection; doing some 'mending' and discovering the real 'me' as well as asking the big questions. Very accessible, this is a very uplifting and positive guide for those facing a daunting transitional time in their lives. About "The Highway Code For Retirement"